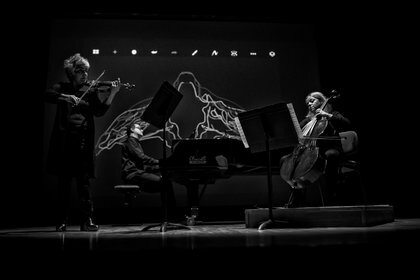 The piano trio has been a conduit for classical composers’ most charged material, where Dvořák, Ravel, Smetana and Brahms produced some of their most powerful works. B3: Brouwer Trio is a Spanish-Cuban group built on this tradition, harnessing maximum energy from the fusion of piano, violin and cello. The group – violinist Jenny Guerra, cellist Elena Solanes and pianist Carlos Apellániz – is named after Cuban composer and guitarist Leo Brouwer, a frequent collaborator of theirs. 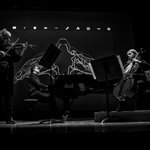 Since their inception in 2000, B3: Brouwer Trio have included Spanish and Latin American repertoire alongside “everything else.” Pushing challenging contemporary music to the fore has given B3: Brouwer Trio a singular identity in the chamber music world. They have premiered dozens of works, some incorporating dance, painting, theatre and other media. The trio have proven this chamber music format is virtually inexhaustible, from old masters to young upstarts.